I thought parent/teacher meetings were over once our son graduated. But apparently not. The equine version has now commenced. Last Sunday we took our horse – Choco – to school. He is smart, loads and unloads easily, gets along well with others, wants to please us, but is a little shy around people he doesn’t know. 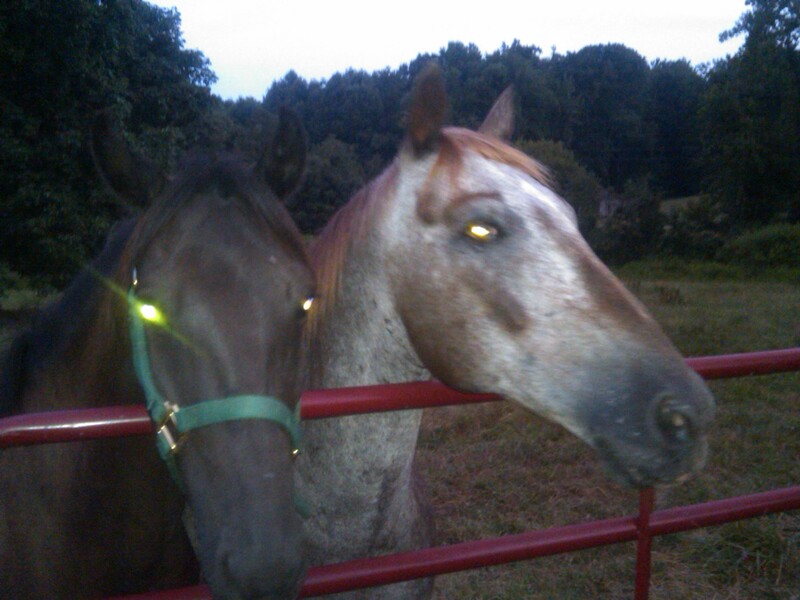 His buddy – an Appaloosa named Jackson – went to school with him and they are in the same pasture. This seemed comforting, a little like our son going off to school with a friend in his classroom. Jackson is a friendly horse and is doing well in his studies. Choco – not so much. Some areas needed no work with him, while others have been challenging. “Has anyone ever ridden this horse before?” Those were the first words out of the trainer’s mouth when he talked to my husband about Choco. “Yes, but why do you ask,” was his reply, knowing the question itself was a harbinger of bad news to follow. Like every mom I started making excuses. He’s shy, he doesn’t know these people, he’s traumatized from being away from home, he needs me! But I resisted the urge to go running off to school to reassure him. And it must have paid off. The next day the trainer sent a few pictures via text of Choco being ridden in traffic, and going through an obstacle course. He is improving. But he needs a little more work and must stay after school. In other words, he won’t be ready to come home tomorrow as planned. We miss him, but he needs to learn everything he can so he can go out into the world – one of us on his back – and mingle with others. I still think he just needs me. I miss his soft nose and expressive eyes and knowing that I’m headed off to take him a few apple treats. And I’m sure he misses me. You are a fellow horsewoman, and understand. Thanks! He is definitely giving me the eye!